Mum decided to break tradition this year and go on her own present delivering round. Usually she stays at home and dad, Eva and I deliver all the presents. Two runs meant we ended up running super late and didn't go out until about 10pm. We only actually go into my grand parent's house, which is a tradition. We had nibbles and our first Shloer of the season (why do you only drink it at Christmas?) and exchanged presents. Granny was in really good spirits and she particularly enjoyed our Christmas sing along. She was having a good day and we were all grateful for that. Around 11pm we set off home. We were shattered but still had a bit to do. While dad put on more party food for our late dinner/supper, I put out my fur babies presents. 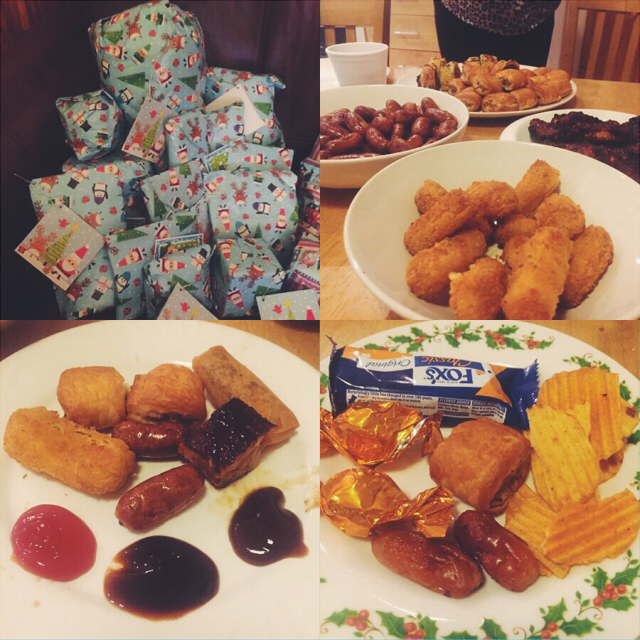 We then had our party food and after I put out food for Santa. Usually after we put out Santa's food we make sure our stockings are on our doors and then head to bed to watch a movie. However this year Eva, dad and I ended up sitting in the kitchen until 1:30am discussing Elizabeth I and the Royal Family because Elizabeth: The Golden Age was on. Not exactly your regular Christmas movie. Still, it was a lot of fun. 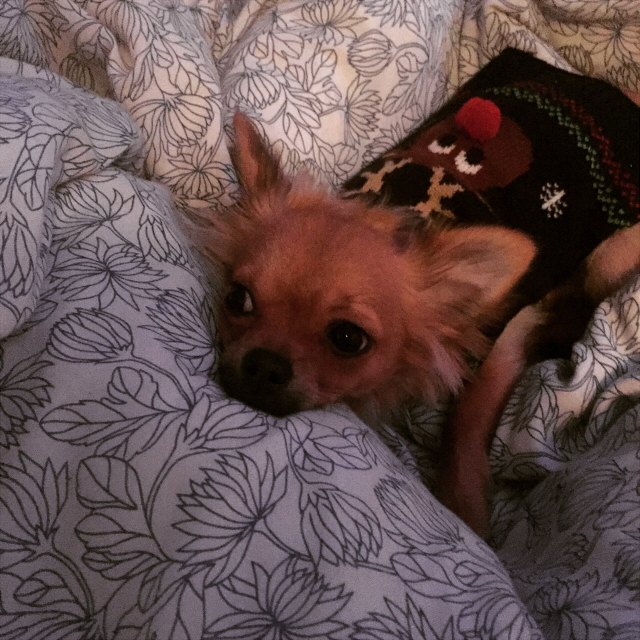 Edwin was shattered by the time we got to bed and he was not amused that there was four of us (two humans and two Chihuahuas) sharing one single bed. He especially didn't like that we kept moving about. We didn't watch a movie, instead opting for the 8 Out Of 10 Cats Christmas Special. By the time we finished that we knew it wouldn't be long until Santa came, so we had a nap. At 4am Eva checked the stockings and found Santa had been! Edwin didn't want to get out of bed, so we had to carry him down to 'wake' my parents up. We open our stockings in my parents room. This year they were filled with chocolate and sweets and an adorable Chihuahua teddy. After we checked if Santa had been in the living room, and that's where I found my mountain of gifts! We are so incredibly blessed that at our age our parents still go above and beyond. 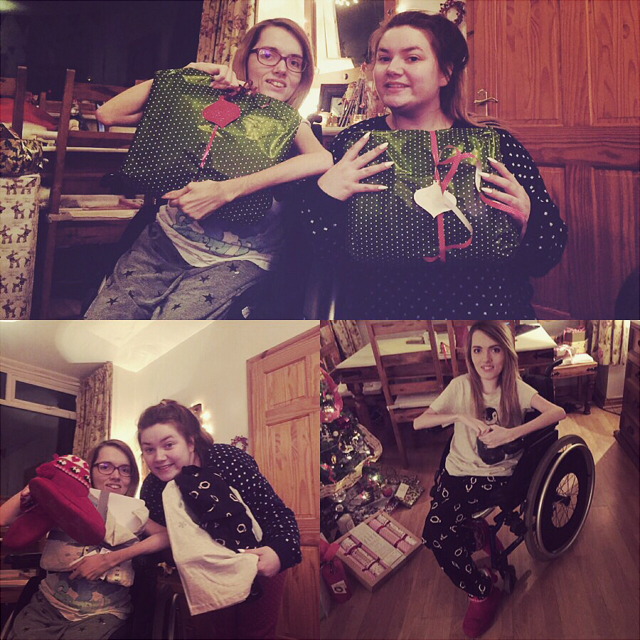 Words can't encompass how grateful I am to them and how much I appreciate how amazing they've made every Christmas. 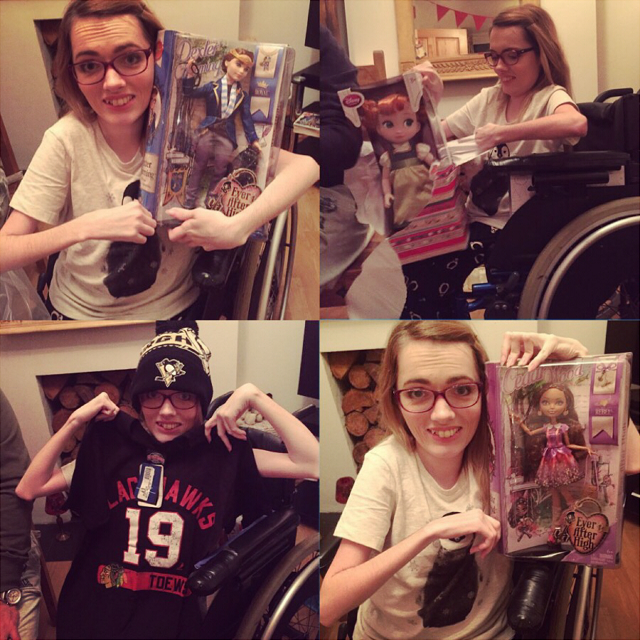 Here's some photos from when we were opening presents. I got many things that were on my wish list. Santa brought me Dexter Charming and Cedar Wood and my sister surprised me with Anna. I'm so happy I have Anna, Elsa and Kristoff now. My aunt and grand parents put together and got me a Pittsburgh Penguins hat and a Toews Chicago Blackhawks' t-shirt. 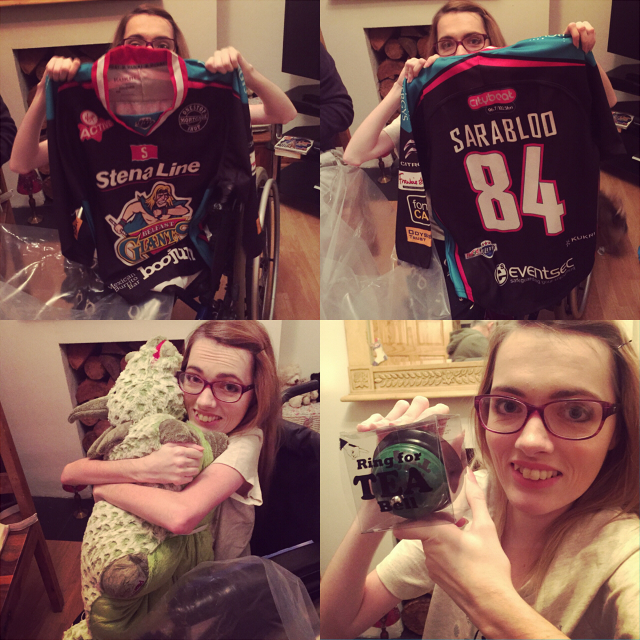 I also got my black Belfast Giants' jersey with SARABLOO 84 on the back. I knew I was getting it, but I was still super excited for it. I can't wait to wear it to my next game! Eva also got me a dinosaur pillow pet. It's probably my favourite surprise. I LOVE dinosaurs, even though I don't know too much about them. She also got me this novelty 'Ring For Tea' bell. Oh, she'll regret that... Aha. I didn't get photos of Eva, mum and dad opening their presents because they weren't really keen on it. 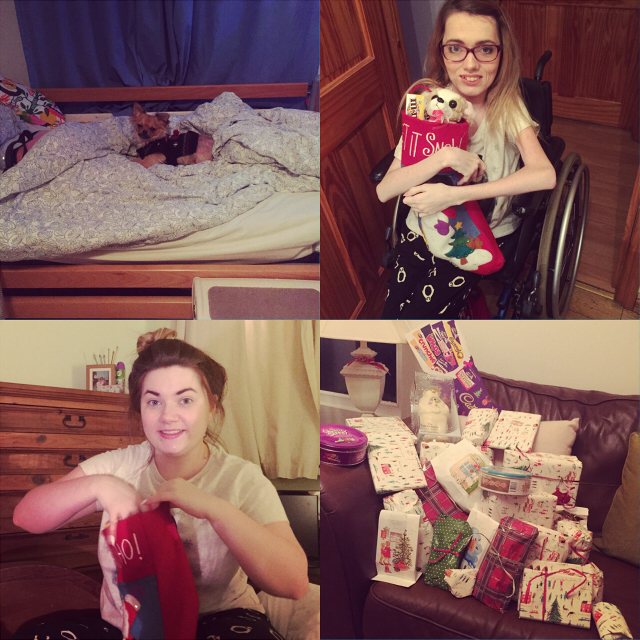 Eva wrote a post about her Christmas though, so if you'd like to see what my sister got here's a link. 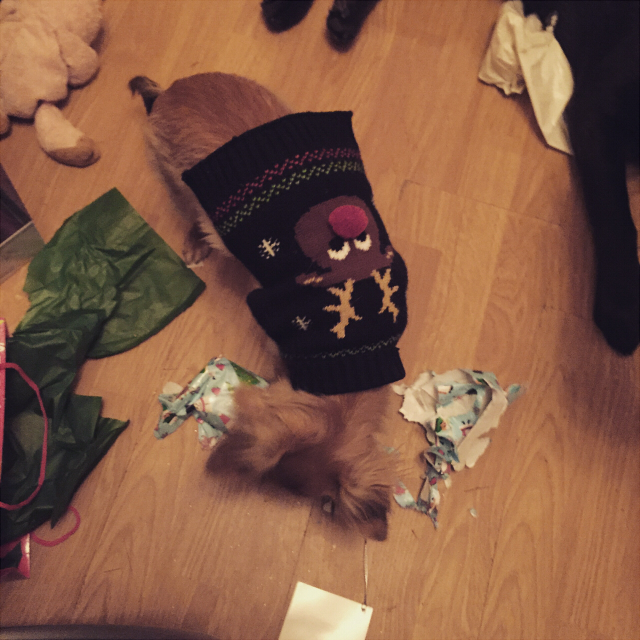 Also, having the boys open their presents didn't really go to plan. Edwin had fun ripping the paper, but they decided to fight over them so we had to confiscate their presents until later. It was fun while it lasted. 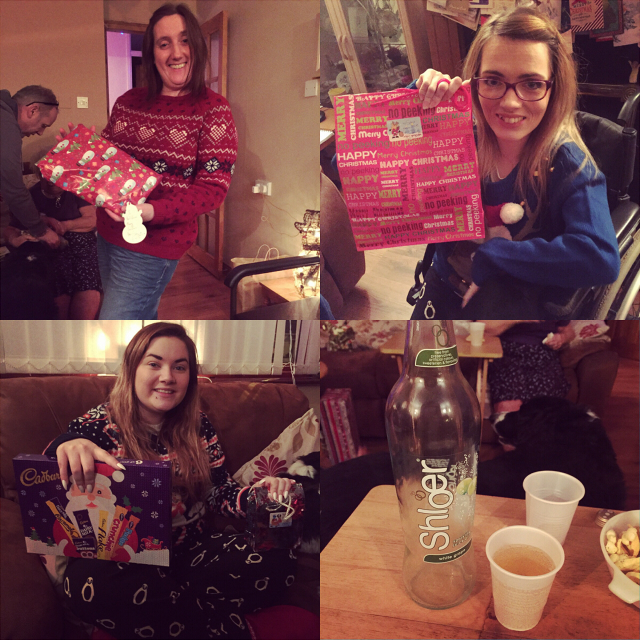 Once the presents were all open, we had stuffing sandwiches and a cuppa. The turkey wasn't ready yet, so that would have to wait until later. We also seen Santa had enjoyed his food! We chatted for a bit and by the time we all decided to go back to bed it was almost 7am. Usually our aunt and uncle and my grand parents and other aunt would visit after church on Christmas morning. However my aunt and uncle decided not to come this year and because my grand parents were too sick to go to church, they came later than usual. I slept until 1pm and my grand parents and aunt came at 1:30pm. Again, granny was in good spirits and she enjoyed herself. 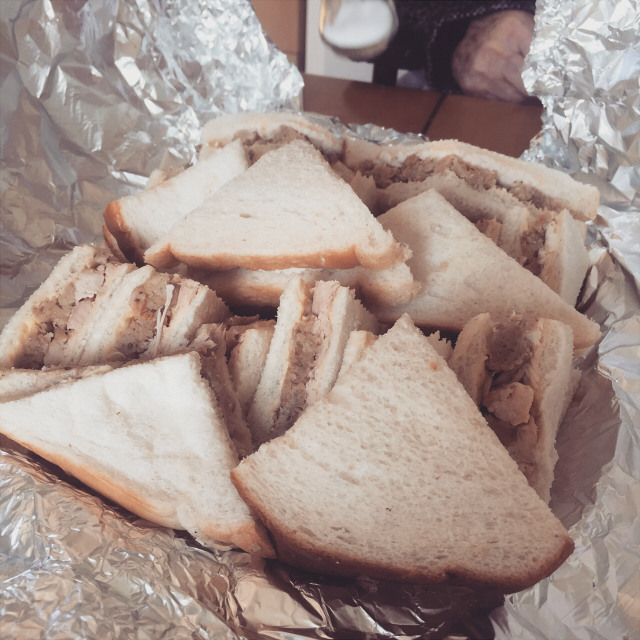 Especially my dad's legendary turkey and stuffing sandwiches. They left after 2:30pm and I have to say, it's been one of my favourite Christmas visits. Maybe because we weren't sure granny and granda would make it round, we appreciated it all the more. Granny also didn't get confused or anything, so it was a good day. Because we'd eaten sandwiches so late, my parents decided to have dinner later than usual. So there was a lot of time to kill. I took some photos of my presents and watched some television, before settling down with a nice cup of tea, another turkey sandwich and the A View From The Bridge podcast about the Belfast Giants. It was a nice and relaxing Christmas day. We had dinner around 7pm. I was so looking forward to it. It's my favourite meal. For starter my family always have prawn cocktail. I don't like sea food, so I have melon. I like it because it isn't too filling and it's refreshing. Our main meal consists of turkey, ham, stuffing, peas, carrot and parsnip mash, mash potatoes, roast potatoes, Brussels sprouts and cocktail sausages. 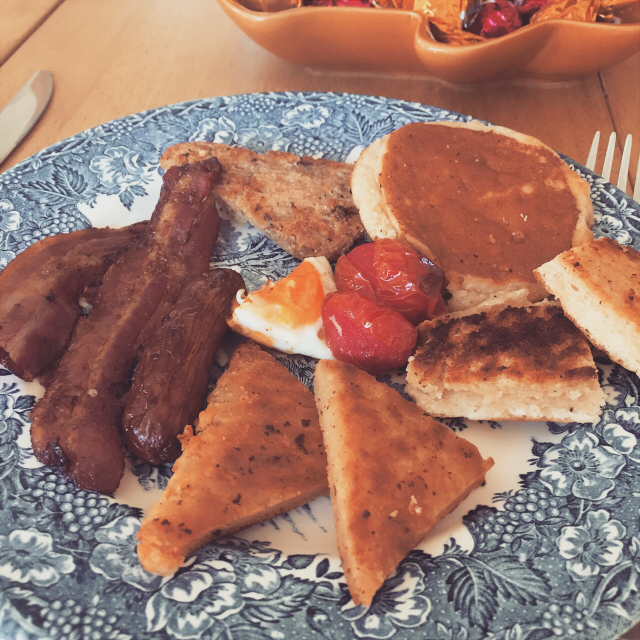 My overall favourite is the stuffing. Nobody makes stuffing like my dad, but I really do love the whole meal. 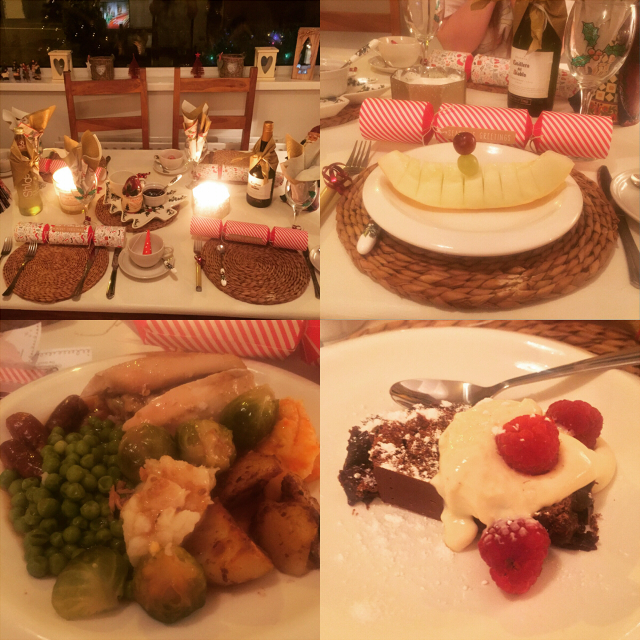 Dessert changes every year, but this year we had a chocolate log roll with some fancy custard and raspberries. It was nice, but I prefer a good old sticky toffee pudding. After dinner we settled down to watch a behind the scenes thing about Frozen before we actually watched Frozen. My mum hadn't seen it before, and she still hasn't as she fell asleep within twenty minutes. It didn't bode well from the beginning as Do You Wanna Build A Snowman hadn't even finished and she'd asked about five times what was happening. We were all shattered and after Frozen we went to bed. It was a nice and relaxing Christmas Day and we really couldn't have asked for anything more. 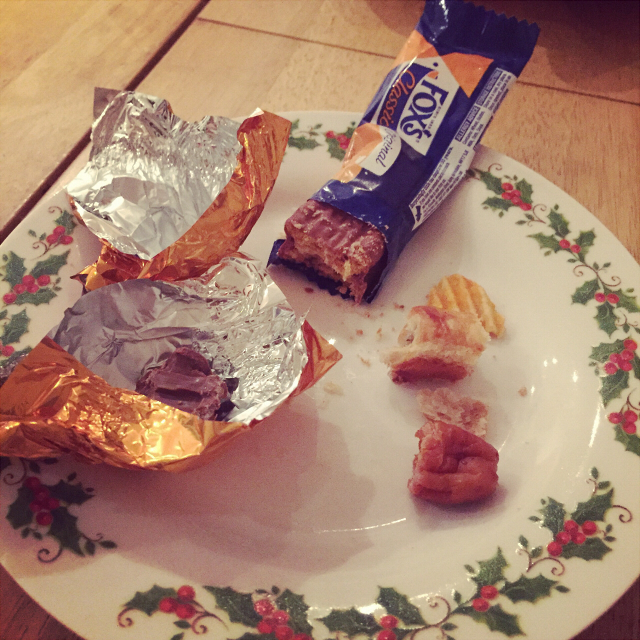 Here's a photo of everything I got from Santa and family. I seen some people on Twitter complain about people showing off what they got and bragging, but I don't see it like that. If you do, I'm sorry. I love and appreciate everything I got and I want to write about how much I love and appreciate it! 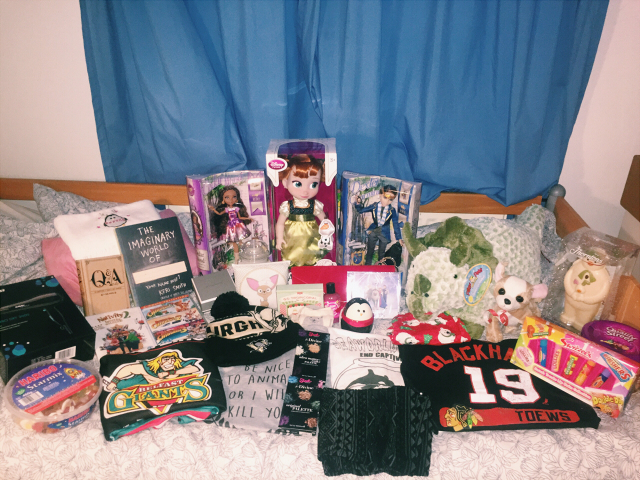 A few of my favourites are my jersey, Anna, dinosaur pillow (I named Jedd), all my t-shirts and my Penguins' hat, Cedar Wood and guh.. everything! 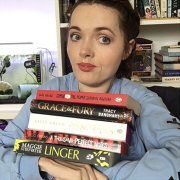 Everything is my favourite! I hope everyone had a Merry Christmas. 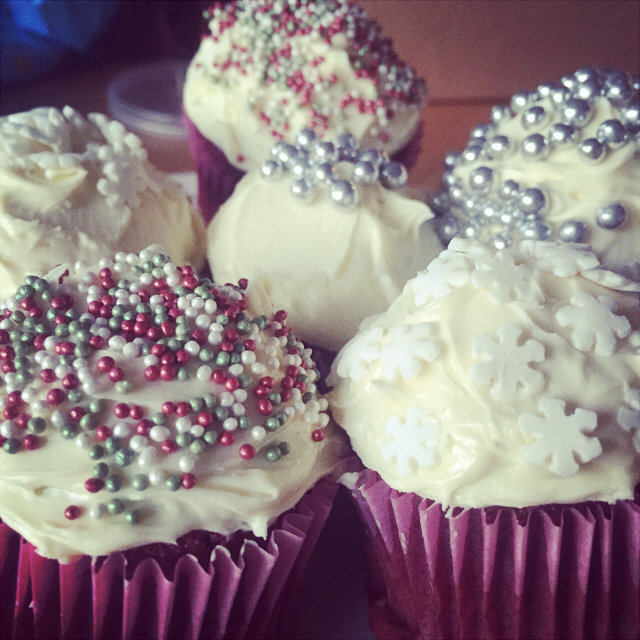 Love this post, your Christmas dinner looks delicious!